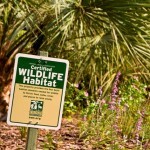 Certified Wildlife Habitat in Central Florida! 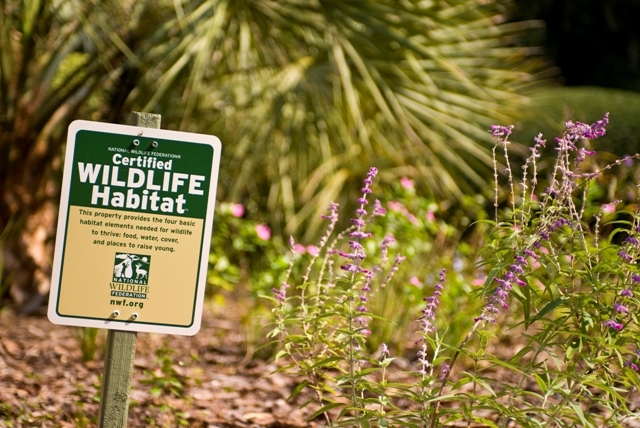 Our north Orlando Bed & Breakfast accommodation, Thurston House, proudly supports this program that is offered by the National Wildlife Federation. It is a very simple process to qualify. 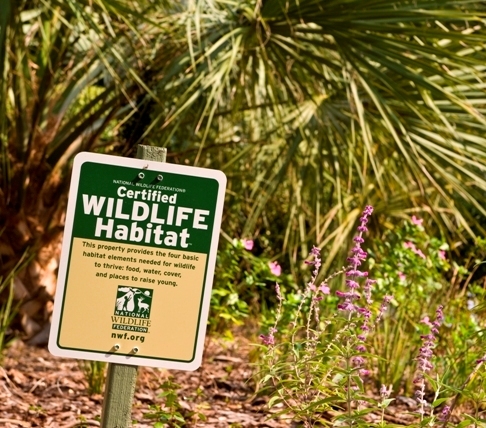 By providing food, water, cover and places for wildlife to raise their young, your garden can join the more than 150,000 Certifed Wildlife Habitat sites across the country. Food – Many of our yard trees and bushes have berries. The fruit trees provide flowers and then the fruit itself. A variety of flowers are very popular with butterflies and hummingbirds. Water – We overlook beautiful Lake Eulalia but also have a bird bath. Cover and places to live – We are surrounded by 8 acres of lush land with many trees and bushes offering a safe home for a variety of wildlife. Even the tall trees provide homes to owls and raccoons. You don’t have to have a huge yard or a lake to qualify, just be creative on how you can offer these components to your local wildlife. Do it now! 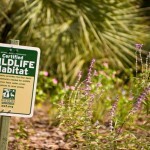 Become a Certified Wildlife Habitat Like Thurston House! Maitland’s only bed & breakfast, Thurston House, has been certified as an official Backyard Wildlife Habitat by the National Wildlife Federation! Protecting wildlife can be easy & fun, and is good for the future of our world. This is the first blog about what it takes to be certified. The first step in this process is to start growing plants that are native to your area. Be sure to include trees, shrubs and other plants that offer food such as pollen, nectar, acorns, nuts, cones, berries and other seeds. Exotic plants that are not native to your region can become invasive. This could make them harmful to both people and wildlife!